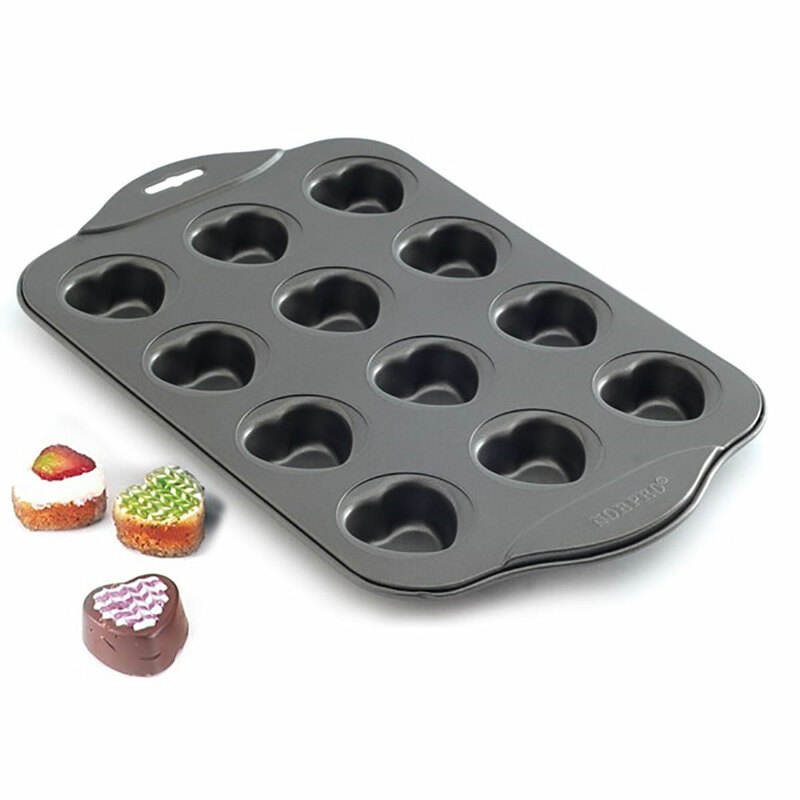 Brand: Norpro N-3992 Units: 1 Nonstick pan makes cute heart-shaped muffins. 1 1/2" diameter. Nonstick pan makes cute heart-shaped muffins. 1 1/2" diameter.